The Leads Are Weak! - Sparklane . ACCUEIL / BLOG / THE LEADS ARE WEAK! 02One of the longstanding complaints from sales reps is the lack of quality leads. This problem was captured in the movie Glengarry Glen Ross when Jack Lemmon’s sales rep complains that “the leads are weak” only to be told by Alec Baldwin’s sales consultant, “you’re weak.” Instead of providing the struggling reps with access to the limited number of high quality leads, the consultant berates and threatens them for their ineffectiveness. A recent survey of 265 B2B sales and marketing professionals by Crowd Research Partners highlighted the need for improved lead quality. The survey found that the biggest challenge for sales reps was finding quality leads with 63% of them listing it as an issue. Unfortunately, the survey did not ask about finding more leads. Thus, finding quality leads serves as both a proxy for better lead quality and more leads. This distinction is not trivial. More leads can be addressed by ginning up the demand generation machine while better leads require Account Based Marketing (ABM) tools and improved lead scoring, targeting, and decisioning. Other top concerns were the length of the sales cycle (53%), getting in touch with decision makers (49%), sales rep productivity (45%), and time wasted away from selling (39%). Except for the length of the sales cycle, all of these issues are directly addressed by sales intelligence solutions such as Sparklane. Of course, better ABM targeting supported by sales intelligence services helps expedite the sales cycle by focusing energy on the top prospects. Only 29% of respondents viewed SalesTech as effective while 37% described SalesTech as being “somewhat effective”. While many of the respondents did not see SalesTech as living up to its promise, they were more sanguine about its potential to assist sales reps, operations, and management. Surprisingly, only 58% of respondents felt that SalesTech could assist with lead qualification when many vendors now offer predictive lead scoring, business signals, sales triggers, and Ideal Company Profile (ICP) definition tools. One possible reason for lead quality concerns was the penetration of SalesTech solutions. The top four implemented categories were CRM (84% usage); digital presentation technologies (58%); contact management (46%); and sales email automation (44%). Sales and Account Intelligence was only employed by 28% of sales teams, so the disaffection with SalesTech efficacy is more of an indicator of lack of sales intelligence tool implementation than a failure of sales intelligence services. So, let’s examine how sales intelligence solutions help address the concerns of sales reps. 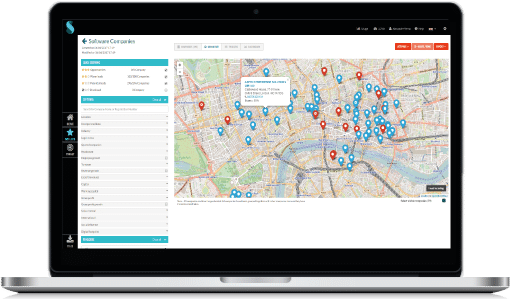 Most mature sales intelligence platforms are fully integrated with CRMs and MAPs. Thus, if 84% of B2B firms are investing in CRMs, then CRMs should be tightly aligned with sales rep processes involving prospecting, qualification, account planning, account awareness, and selling deeper into the organization. Unfortunately, CRMs are dull repositories of information keyed in by sales and support teams. They offer little in the way of native intelligence and few tools for streamlining data entry and decisioning. While Salesforce is now offering Einstein AI tools for sales and other functions, Einstein is dependent upon the underlying data quality. If your sales reps are keying the account, contact, and lead records instead of using an integrated sales intelligence / data hygiene solution, then they are wasting hours feeding weak data into tools such as Einstein. But sales intelligence solutions operate as both standalone browser offerings and integrated CRM intelligence services. Within a CRM, sales reps can prospect for leads, perform quick evaluations to determine fitness, research companies and contacts, and find discussion hooks for both initial sales calls and formal meetings. Furthermore, by synching with a reference database, sales rep data entry and data maintenance work is greatly reduced. A sales rep can perform a “stare and compare” update of account, contact, and lead records in about ten seconds, providing a quick method for maintaining records. What’s more, company intelligence is viewable within account and lead records while people intelligence is displayed with contact and lead records. Ideal Customer scores provide a quick means of qualifying accounts while e-mail alerts and integrated news ensure that sales reps are informed about the latest relevant news. Higher quality data is automatically populated and maintained within the CRM. Along with “stare and compare” updates, sales intelligence services provide auto-population of accounts, contacts, and leads, along with ongoing maintenance of CRMs and MAPs. Marketers also benefit from marketing automation platform (MAP) integration as leads can be immediately matched and enriched. Thus, firmographic and biographic intelligence is instantly mapped from the reference database. When sales and marketing agree on the same vendor for B2B leads and sales intelligence, several issues are addressed. Reference file fields are standardized and pre-verified with addresses, phones, job functions, job levels, industry codes, and other key segment fields normalized. Simply standardizing the data ensures that leads are routed in a consistent manner and scored similarly. Furthermore, standardized data is easier to read, more accurate, and provides superior targeting and segmentation. There is no reason that “N/A” should be the largest slice of your pie chart. Furthermore, many of the sales intelligence services are strong proponents of ABM which calls for improved coordination between sales, marketing, and service departments. By defining the attributes of ideal customers and coordinating ABM activities across the departments, many of the cross-departmental issues are addressed. Sales intelligence solutions both serve as reference datasets for CRMs and MAPs and toolkits for sales and marketing. Sales intelligence solutions provide tools for defining your Ideal Customer Profile, segmenting your customer base, prospecting for net-new accounts and contacts, and assisting with account planning and messaging. Other capabilities include deep contacts and linkage for selling deeper into ABM accounts and sales triggers for prioritizing sales activities. In B2B sales, the leads no longer need to be weak. Integrated information tools help sales and marketing better identify top leads and map out their ICP for pursuing high-value, previously ignored opportunities. So, grab some coffee and bust those quotas!